They are also asking Home Affairs to allocate an extra 1500 places under the scheme to the ACT, which normally has around 800 places annually. Around 200 international students gathered in Canberra outside the Legislative Assembly on Friday afternoon, to protest against the sudden visa policy change which has left their future uncertain. In July 2017, the ACT government opened up state nomination for occupations which were not on the "open" list of in-demand jobs, if they already lived in the ACT. If a person could prove they had been living in the ACT on a student visa or graduate visa for at least 12 months and had completed a Certificate III or higher education at a local institution, they could qualify for state nomination. This prompted many like Kanish Chug to move to Canberra. Kanish moved to Canberra and enrolled himself in a Masters of Business Administration (MBA) course at the University of Canberra, in the hope of getting five additional points required to beat the high competition in his occupation for skilled migration to Australia. “I have 75 points. The competition is very high. Only a fixed number of accountants are invited each year and the cut off is very high. 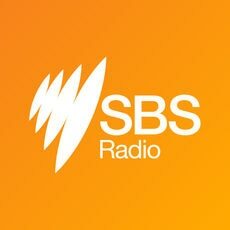 When I heard Canberra was giving state nomination for those who lived here, I moved to Canberra hoping it will help me gain five more points,” Mr Chug told SBS Hindi. The One Nation senator said international students are taking low-paid jobs away from unemployed Australians. Kanish was just a few months away from qualifying for the scheme but the sudden change in visa policy left him depressed. “I paid $50,000 for my Master's degree in Melbourne. I enrolled myself in another degree to get five extra points and have paid thousands in fees. “It is devastating to learn that all my effort to move to Canberra, my hard earned money was for nothing,” Kanish says. Many international students affected by this sudden change came forward to speak up about the impact this decision is having on their lives. Around 200 international students gathered outside the ACT legislative assembly on Friday noon to protest against these changes and to demand the ACT government give them a 'fair go' and allow students enrolled at an ACT institution before June 29 to apply for the program. The ACT Government, who is currently reviewing the program, said it was aware of the impact the closure has had on individuals. It attributed the partial closure of their immigration program on oversubscription to the limited available places for 190 visa nomination. “The ACT Government is aware of the impacts the restrictions have had on individuals already in Canberra who may have been close to achieving the eligibility criteria when the restrictions were applied. These circumstances will be taken into account as we continue working with stakeholders to improve the ACT Skilled Migration Program,” the ACT government website reads. The ACT government is now developing a new strategy to manage the program in consultation with stakeholders and plans to release a discussion paper in September. The Canberra Times reports the new strategy would be released by December 1.